Blockages in the sewer system can lead to costly sewage backups in your home. How costly? The average cost for a sewage backup cleanup is $2,885. 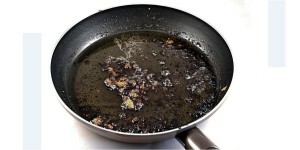 Liquid cooking grease, oils, and fats harden when poured into a sink drain. As they harden they clog sewer pipes and cause sewage to backup into your basement. Apartment buildings are even more vulnerable to backups caused by grease because of multiple kitchens draining to a single pipe. Throw only toilet paper down the drain. Never flush anything other than toilet paper down the drain. Even wipes advertised as “flushable” can lead to backups. 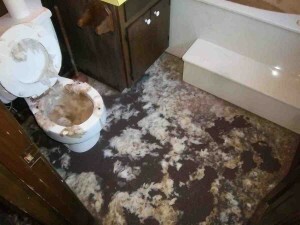 If a backup occurs because of a clog in your sewer service line, you are responsible for all repair and cleanup costs. You can still cook with all the fats, oils, and grease that your heart desires. Just put it in a can, not the drain. Take left over grease and pour it into an empty soup can or some other type of container. If it’s oil, pour it into a container with a cap. Let the container with the grease or oil cool. You can place the container in the refrigerator for future use if it’s not full. While you wait for the container to cool, use a paper towel to wipe away any remaining grease or oil on your pots or pans. You can toss this paper towel in the trash when you’re finished. Once the grease cools and turns solid, you can throw it in your trash. If it’s still liquid, make sure you close the container to prevent making a mess. Save money – It can cost thousands to hire professionals to cleanup after a basement backup. Less hassle – No basement backups means no property damage, no smelly basement, and no hassle. Happier neighbors – Grease can cause backups in sewer mains which can cause backups at every house on your street. Healthier environment – Less grease in the pipes also prevent sewage from spilling into the Susquehanna River.